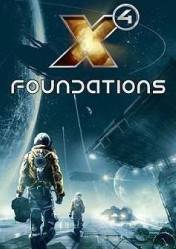 Attention: X4: Foundations is a game in digital key or Steam key format (although it may also be available in other versions such as Steam Gift), depending on which online store you buy. Depending on the format, it must be activated in one way or another. Remember also that they may have regional blocking, so pay attention to this information. The X Saga returns to the load with its fourth and most ambitious delivery, X4: Foundations. An enormous number of new features have been introduced in this new delivery in comparison with previous deliveries, which will make it the most extensive, vast and complex of the franchise. As a novelty is that we will be able to pilot any ship we see, from small and fast explorers to the largest aircraft carrier, everything can be piloted from the cockpit or from an external view. An RPG component is introduced that will give you enormous freedom, such as being able to get off a ship, walk down a staircase, walk down the dock of a large space station to another ship we parked there and replace the pilot who was working for us by simply clicking on his chair. The stations and factories are now modular, being able to establish our own economy and begin to influence the universe on a larger scale. In X4, it is now possible to be completely free and creative. Stations can be built from a variety of modules, whether they are production modules, housing sections, docks or many other types of parts. The powerful new mapping system allows you to drag and drop modules together using a connection system to unleash your imagination. And like the ships, in which we can add more engines, weapons and other equipment in a graphical editor and see them in the ship. Once we have our small commercial empire, with hundreds of workers at our command, including transport ship pilots, crew, station managers, the map will be our preferred method of managing it all. We will be able to give the pertinent orders with a simple click and by means of operations of drag and drop to establish its route and future commands.